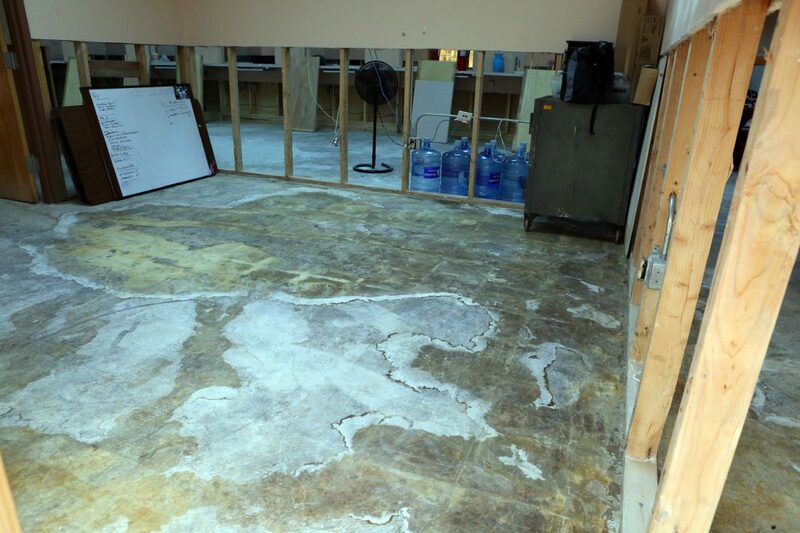 Floors and wall are striped due to water date damage from the June floods at the Hidalgo County Precinct No. 1 offices on Wednesday, Sept. 5, 2018, in Weslaco. 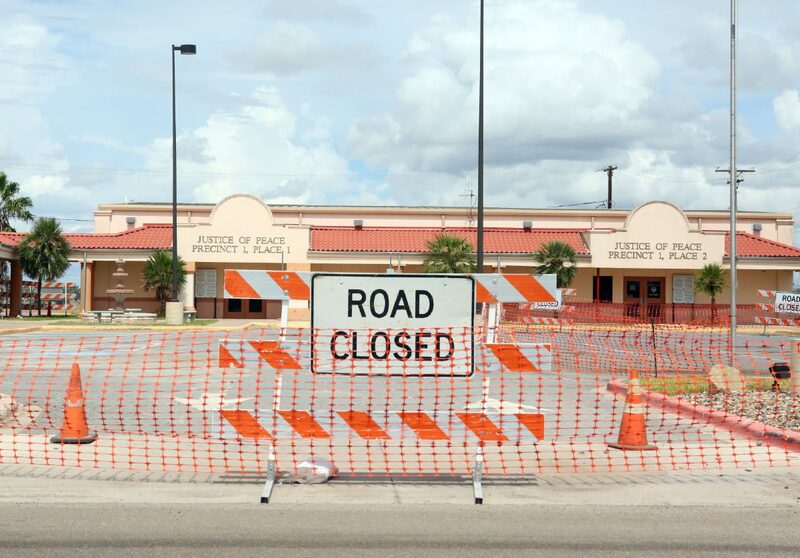 WESLACO — Hidalgo and Cameron county officials met Friday behind closed doors to request Federal Emergency Management Agency representatives reconsider their decision in denying grant money local governments need to repair roads and drainage infrastructure damaged by flooding in late June. An assessment found Hidalgo, Cameron and Jim Wells counties sustained $18 million in damages to government-owned property, according to FEMA external affairs officer Bettina Hutchings. The region needed to have suffered about $36.7 million in damages to public property to qualify for grant money. Without funding from the state and federal government, through the public assistance grant program, local entities likely have to foot the cost of repairs, but officials here are adamant that the region exceeded the threshold needed to qualify. FEMA representatives, working alongside Texas Department of Emergency Management officials, conducted damage assessments following the flood, but they failed to inspect all damaged roads, according to the Weslaco and Mercedes mayors and Hidalgo County Precinct 1 Commissioner David Fuentes, all of whom attended the meeting alongside their counterparts from other precincts, cities and irrigation districts. A barricade blocks the entrance to Hidalgo County Precinct No. 1 offices on Wednesday, Sept. 5, 2018, in Weslaco. Posted notices alerts visitors to the relocation of Hidalgo County Precinct No. 1 offices on Wednesday, Sept. 5, 2018, in Weslaco. 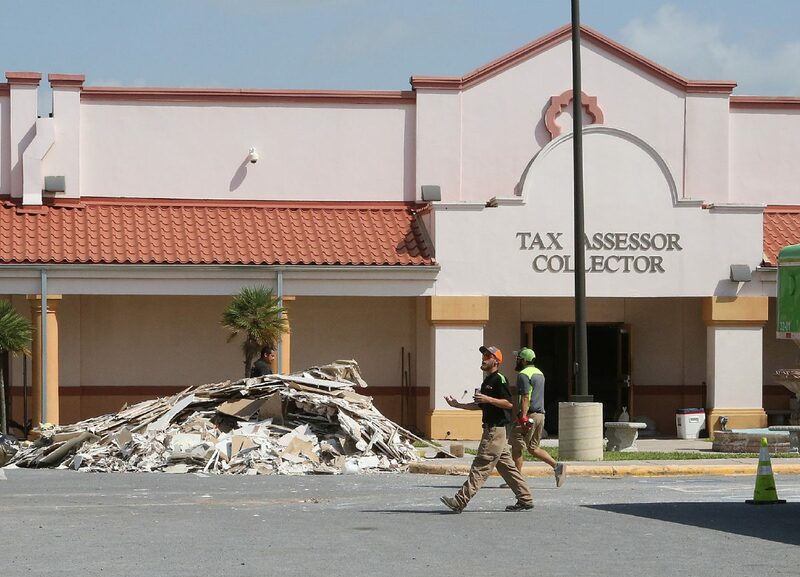 Workers remove the water damaged walls to the Hidalgo County offices Monday, July 2, 2018, in Weslaco. They requested that FEMA and TDEM redo their damage assessment to account for all public property damaged by flooding in the three counties. “We’re demanding … that this time, they visit all the (damaged) sites,” Mercedes Mayor Henry Hinojosa said. 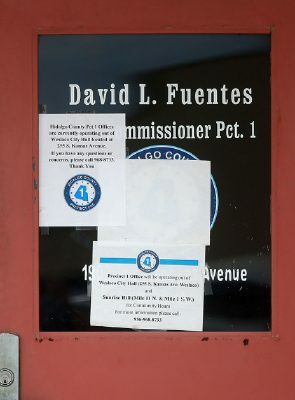 County roads in Precinct 1 alone sustained $26 million in damage, according to Fuentes, whose office building remains closed due to flooding that left parts of the precinct, encompassing the Delta and Mid-Valley areas, under more than 15 inches of floodwater. The crews also did not assess all damages at irrigation and drainage districts, according to Weslaco Mayor David Suarez. Ditches maintained by the Harlingen Irrigation District sustained about $600,000 in damage, according to General Manager Tom McLemore, who said FEMA representatives visited the damaged sites again on Wednesday. Weslaco Independent School District officials estimated $13.7 million in damage to 89 school buses, an elementary school and other public property, The Monitor previously reported. The assessment crews are directed to damaged public property by local officials, including emergency managers, according to Hutchings. “We went everywhere that the state and the local officials took us to, initially,” she said. The president in July issued a federal disaster declaration for Hidalgo, Cameron and Jim Wells counties, prompting FEMA to the area. Nearly 5,000 residents applied for monetary aid through FEMA’s individual assistance program, according to the agency’s website, and about $28 million in assistance has been approved for homeowners affected by flooding. FEMA, though, denied public assistance to local governmental entities. “If the homes were under water, the (public) infrastructure was under water,” Suarez said. Local officials say FEMA representatives in the region will talk to their counterparts in Washington about the need for a reassessment in the three-county region. Local governments will only receive public assistance funding if a reassessment is conducted and damage to public property meets the federally mandated threshold. “We came out of there with the hope that they’re going to go back and regroup and reassess,” Suarez said.